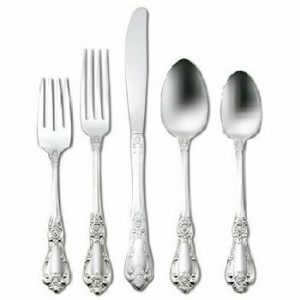 Flatware, from simple to elegant, is an important addition that enhances the dining experience. 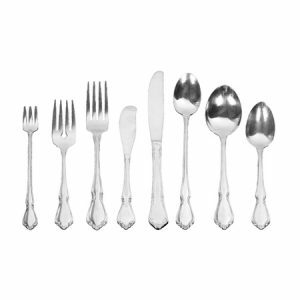 Dinner Knife, Dinner Fork, Salad Fork, Soup Spoon, Tea Spoon, Table Spoon, Butter Knife, Cocktail Fork, Demi Spoon, and Serving Spoon. 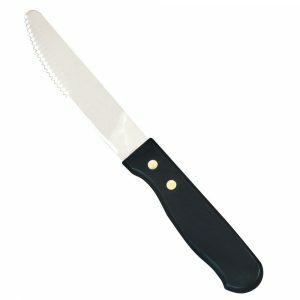 Dinner Knife, Dinner Fork, Salad Fork, Tea Spoon, Bouillon Spoon, Butter Knife, Cocktail Fork, Demi Spoon. 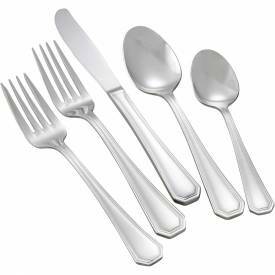 Dinner Knife, Dinner Fork, Salad Fork, Soup Spoon, Tea Spoon.